Just a few updates, so I can think I did something here on 2x3Heroes. 1) If you haven't voted for the 2nd best Blog of the Year, you have until midnight-ish tonight to do it. Get over to this thread and make your click heard. 2) And since I am promoting stuff, vote for the Bip Awards right here - you have until Feb 2nd. One year anniversary over at Bob Walk the Plank, so get a chance at freebies right here. 3) Tis the Season mailing will begin tomorrow. I will work on some of the larger stuff, which means I am looking at the dupe giveaway winners. Watch your mailboxes for stuff next week, and then I'll see how the mailing funds are. I have a game plan for the pick your hit people with a 10x13 envelope and some 9 pocket pages. I may test mail a couple tomorrow, so I'm going to email a couple folks to see how well this idea works. Obviously, it's for cost reasons. $2.32 is fine, until you run about 30 padded envelopes through the machine. My goal for the project is to get the players in a White Sox uniform. 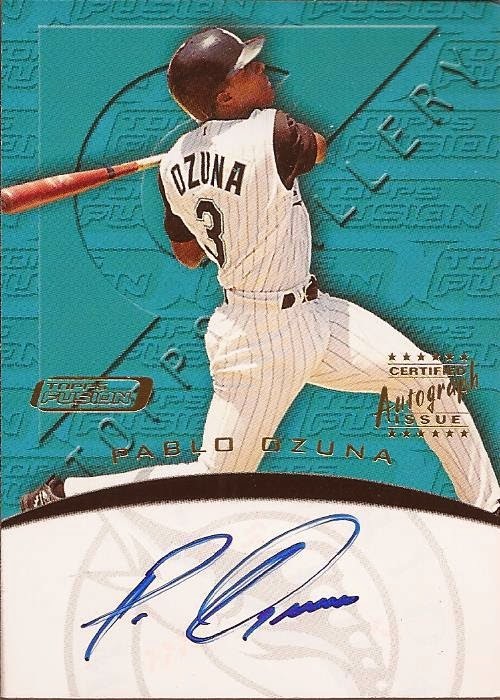 Ozuna will be tough - I cannot find any certified autograph of him in black, and a TTM address is hard to come by. This card was too good to pass up being a buck fifty shipped. 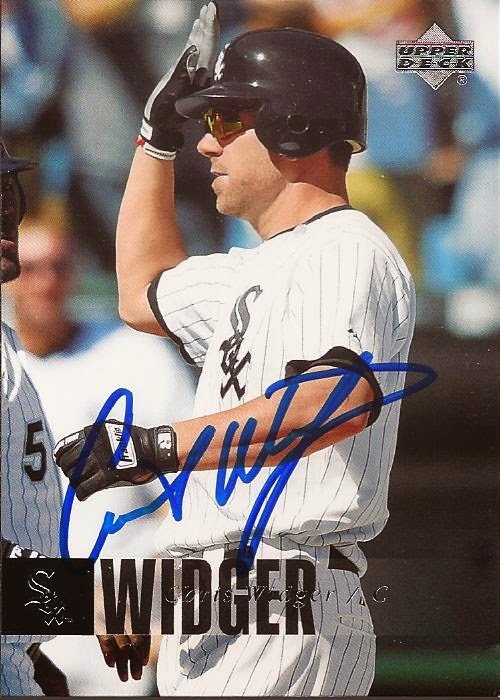 Widger, on the other hand, is a great TTM responder. He was just named the manager of the Camdem Riversharks after serving as the pitching coach for a couple seasons with the club. A quick mailing to their stadium and Chris signed a couple cards for me in about 20 days. Lastly is this gem from Tribute. What I am hoping for is to edit this post in a year and be able to add "Hall of Famer" in front of Rock's name. Tim was the first base coach during the 2005 season. Ok. I'm done updating. Until the next update. 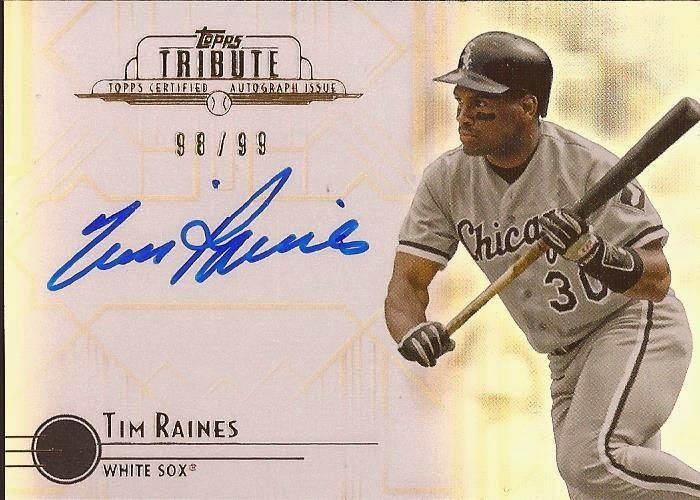 I love that Raines auto. Thanks for the plug!